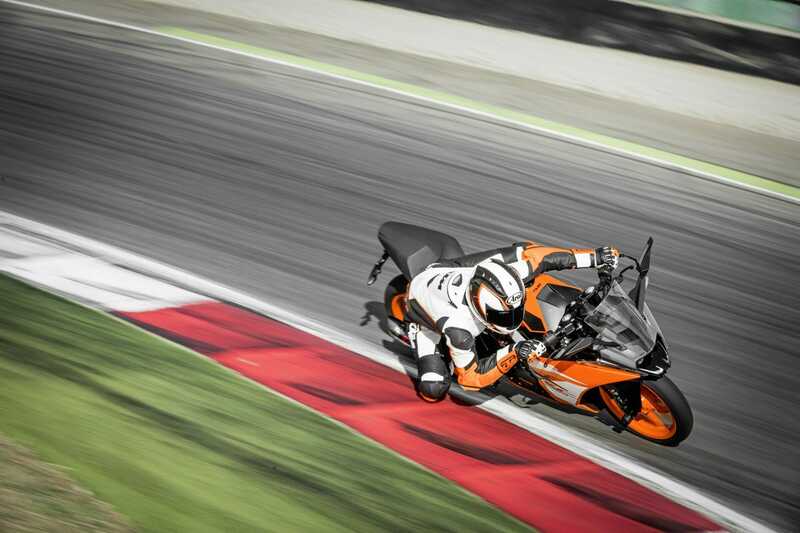 On the road, the RC 390 is definitely suitable for a sporty driving style. It gets a new ride-by-wire which is supposed to provide a better connection between the engine and the driver. The underfloor exhaust now moves back to the side. For this, the lower panel area had to be redesigned. The current exhaust gas standards can be fulfilled and the sound can be retained. At the front, the brake disk increases by 20 to 320 mm. The 4-piston brake caliper was developed by Brembo. When combined with the Bosch ABS and the new Power Assist Slipper Clutch, it allows a more aggressive delay. A more aggressive shift-down of the gears is also possible, since the PASC clutch prevents the rear wheel from locking, even at a too high speed for the smaller gear. Brake and clutch levers are now adjustable and the rearview mirrors have been widened. The passenger seat is now more comfortable. 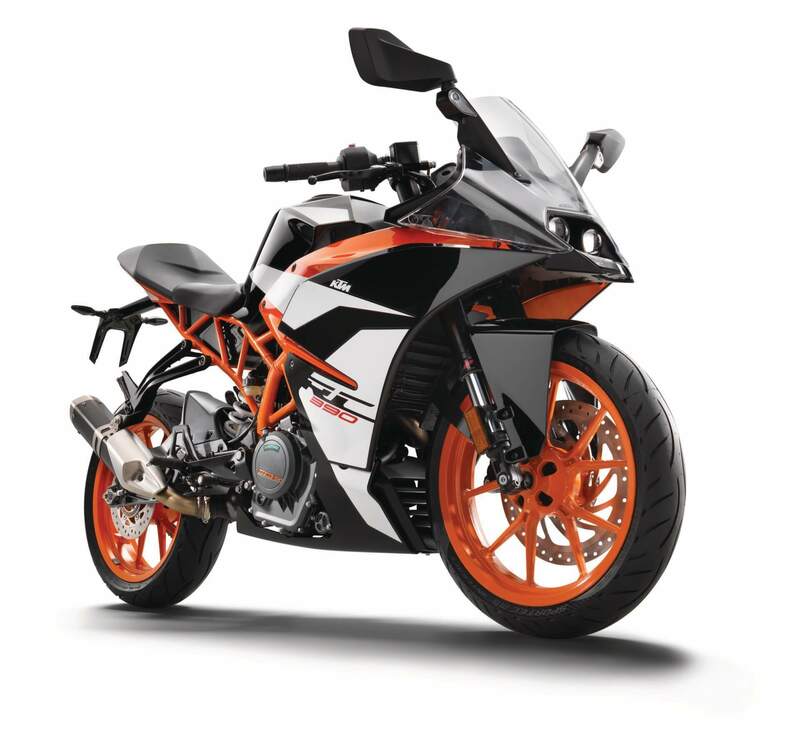 Extremely powerful 373.2ccm-1 cylinder, 4-stroke DOHC engine, electronic fuel injection. Euro 4-compliant without compromising performance – the single-cylinder delivers 32 kW / 44 hp. The Ride-by-Wire, introduced in 2016, enables RC drivers to fully and precisely control the already gentle power output while improving efficiency. The use of CAN-BUS as part of the Ride-by-Wire improves cable routing. 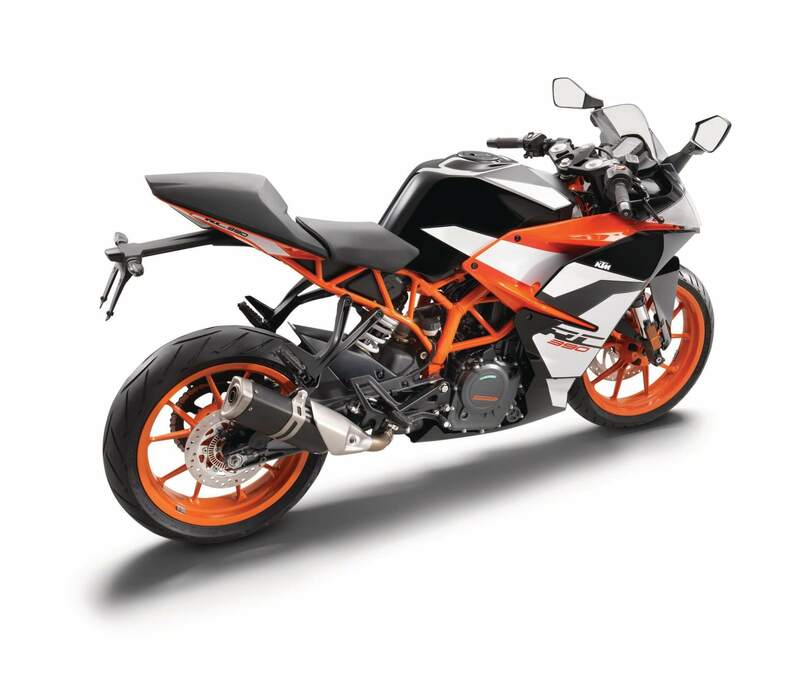 The 2017 exhaust system is not only visually a step forward compared to the underfloor silencer of the predecessor model. It consists of an underfloor stainless steel front silencer and an aluminum absorption muffler that incorporates the catalytic converter. New brackets were developed for the new exhaust system and the passenger footrest was adapted for this new task. The new PASC clutch (Power Assist Slipper Clutch) minimizes chattering at the rear wheel when braking sharply before a turn or aggressive downshift. 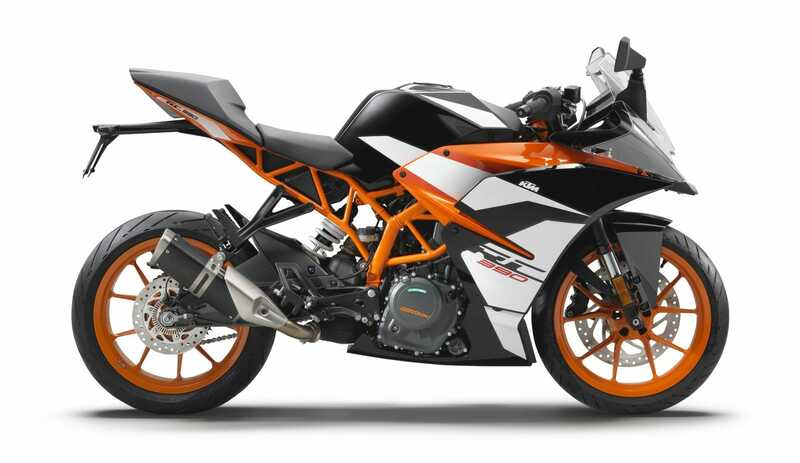 The PASC coupling can be retrofitted with previous models of the KTM RC 390 and is also driven by the pilots of the KTM RC CUP! Our customers have always asked and we have listened. Adjustable brake and clutch levers provide drivers with ultimate control with fingertips. After two years on the streets of the world, customer feedback was clear: broader back-end mirrors. And here they are. Activated carbon canisters prevent fuel evaporation from the tank. The Soziussitzbank is integrated into the one-piece seat unit and is now even more comfortable thanks to a 12 mm thick seat cushion. The braking system, developed in cooperation with Brembo, is equipped with a 20 mm larger brake disk (320 mm), which ensures optimum deceleration and perfect handling. The unique design of the RC does not require any change. After the under-floor muffler had to give way to a side-mounted rear muffler, the bow spoiler was reworked to fit perfectly to the new exhaust system and to create more ground clearance.